The Canterbury brand is one of our favourite and most popular brands here at Ron Bennett Big Mens. Originating from the Canterbury province of New Zealand dating back to the late 1880’s, they built their foundations in the world of rugby but have gone on to produce some of the most sought after and respected sports and leisure wear available. On the field, Cant erbury have been responsible for manufacturing the official jerseys and accessories for some of the biggest international sporting teams, with their CCC logo adorning the uniforms of major Rugby Union, Cricket, Soccer and Rugby League teams. 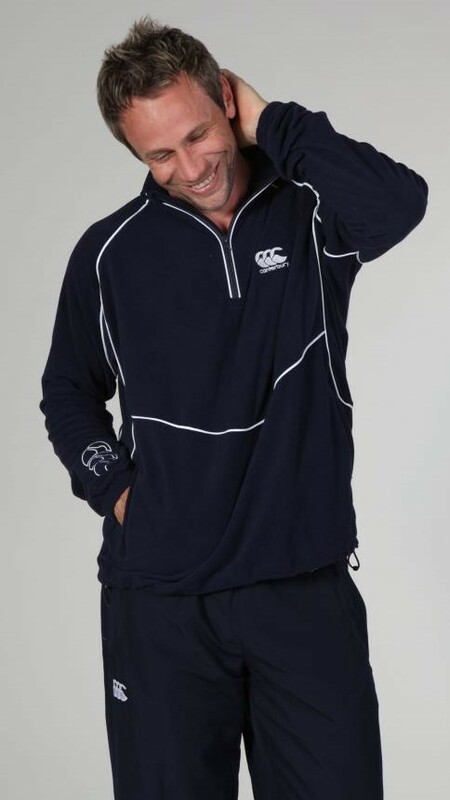 Off the field, Canterbury have cultivated their reputation by producing high quality leisure wear inspired by their sporting origins. We have always admired Canterbury for their ability to capture the sporting spirit in the ir casual wear and our customers give us great feedback on their range. Canterbury Polo Shirts have always been popular for guys. They offer a relaxed weekend look suitable for a backyard barbeque or a cheer from the sideline at your local club match. Our pick for the colder months though, would have to be a Canterbury Sweat Jacket. It’s hard to beat the quality and craftsmanship, but above all that, they simply give off a certain relaxed, sporty cool as they shield you from the chilly winds. Ron Bennett Big Men’s stock a great range of Canterbury clothing for men online or in store. You’ll find Canterbury T Shirts, Track Pants, Polo’s and much more.